I am loving this Hero Arts stamp - newspaper Tulips. 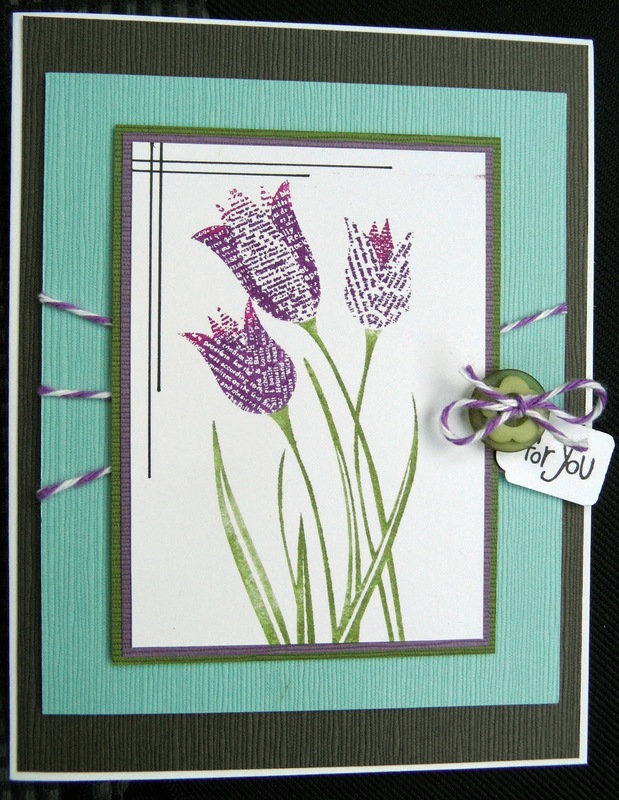 Here is a card that I am doing as a class at Create on Ormond - the theme of the class is using different products for inking the stamp. This card is done with markers, and I only used half the image on the stamp.